Do the combined names of Elon Musk, Janet Jackson, PayPal and Jawed Karim make you think of anything? 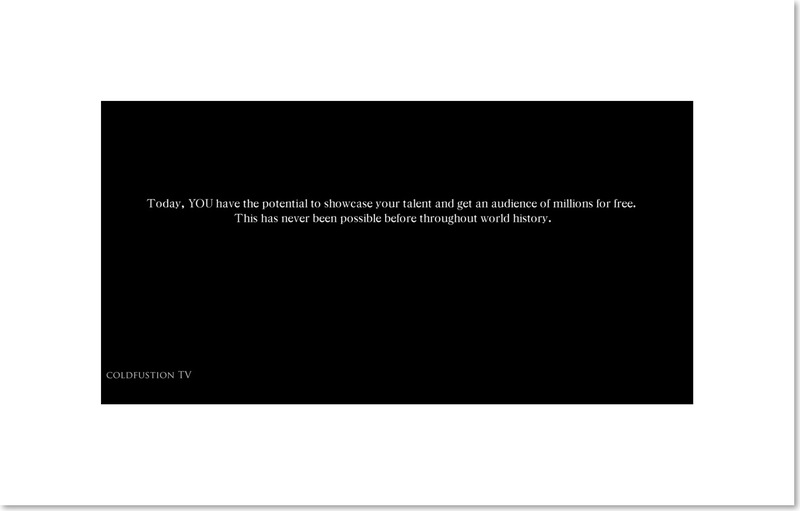 Perhaps they make you think of YouTube’s origins? If not. If, like me, you find these associations to be puzzling, it might interest you to learn a little bit more about the surprising history of YouTube. That’s exactly what this post aims to do. I was taken a bit by surprise when I first read on Twitter that Sunday marked the day of that historic anniversary in VentureBeats’s great article about it. But I was even more surprised to not find any more good commemorations of such a historic day. I began to wonder if perhaps I wasn’t inuring more significance upon this milestone than most regular people would…maybe because I have a fledgling YouTube channel or because my most popular post to date is about discovering who your YouTube followers are. So I began to research in earnest. What I found reassured me that I wasn’t alone in recognizing the importance of YouTube and today’s historic significance. So, I culled through my notes and have included here only the ‘best of the best’ resources to quickly bring you up-to-speed. If you’re really pressed for time and can only take one of my suggestions, I’d recommend watching YouTube Channel Coldfusion TV’s ‘ The Surprising History of YouTube‘ created by Dagogo Altraid. Dagogo’s 11+ minute video is innovative, enthusiastic and surprisingly uplifting. If you have a little more time you should watch Jawed Karim, YouTube’s least interviewed founder giving a touching keynote address at the University of Illinois in January of this year. As a former student there, his moving 14 minute address is perhaps one the most insightful looks into YouTube’s roots that I’ve encountered. Jawed’s life has been a fascinating one..primarily I think because of the unusual choices he’s made in which paths to follow. Maybe I’m just a little biased because as I read this 2006 NY Time’s detailed history of his life, I saw so many parallels to my own life. I find it ironic that Jawed’s idea formed the nucleus of today’s YouTube following his frustration while attempting to find a video of Janet Jackson’s infamous ‘wardrobe malfunction’ video. Even more ironic is the fact that the first video ever to be uploaded to the site was also his (Me at the Zoo)…yet he consciously chose to take a lessor role in molding YouTube early on. He chose instead to attend graduate school at Stanford in computer science. This at least explains why he’s less often recognized as one of YouTube’s original founders. I was also surprised to discover that he, along with YouTube’s more recognized founders, Chad Hurley and Steven Chen, were also extremely instrumental in creating Paypal. In fact this is where the 3 became close friends. It’s also where the 3 earned their first million when EBay acquired PayPal around 2004. 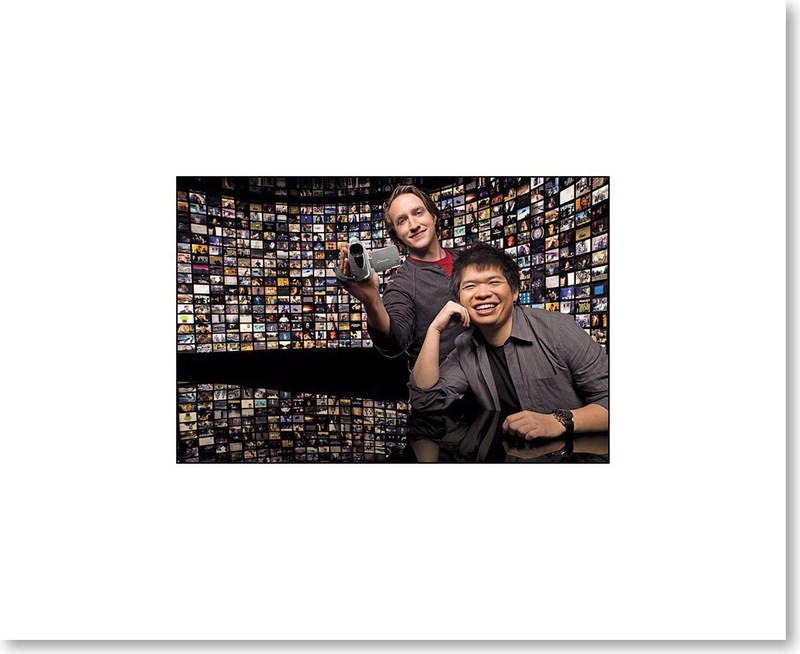 So, YouTube’s 2 main founders Chad Hurley and Steven Chen have really dominated the internet’s coverage of both YouTube’s meteoric rise as well as they’ve both been cast as the primary benefactors of Google’s purchase decision. To learn more about their roles and perspectives, watch Charlie Rose’s interview from 2009. 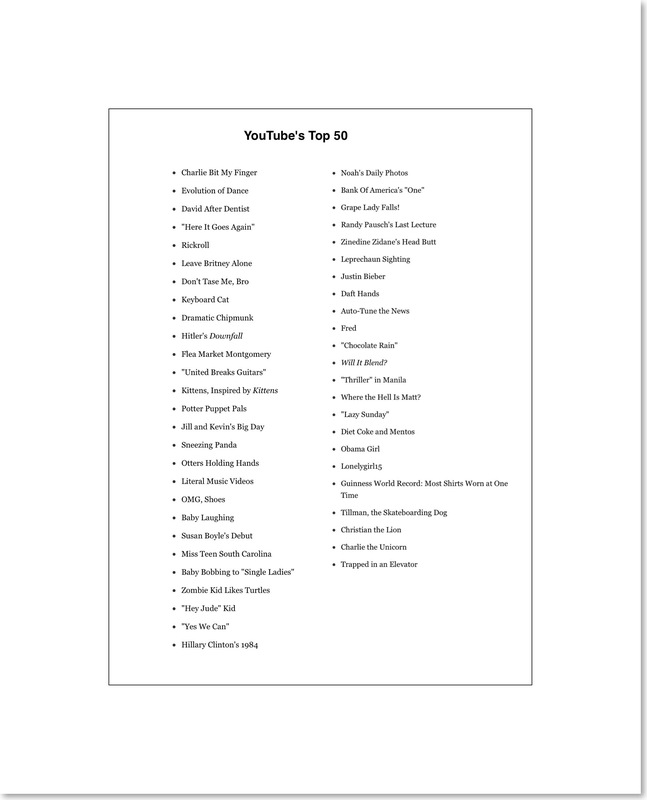 Much of my ‘Milestone Data’ below has been taken from the 2013 Business Insider’s ‘The History of YouTube 2013‘ Video. 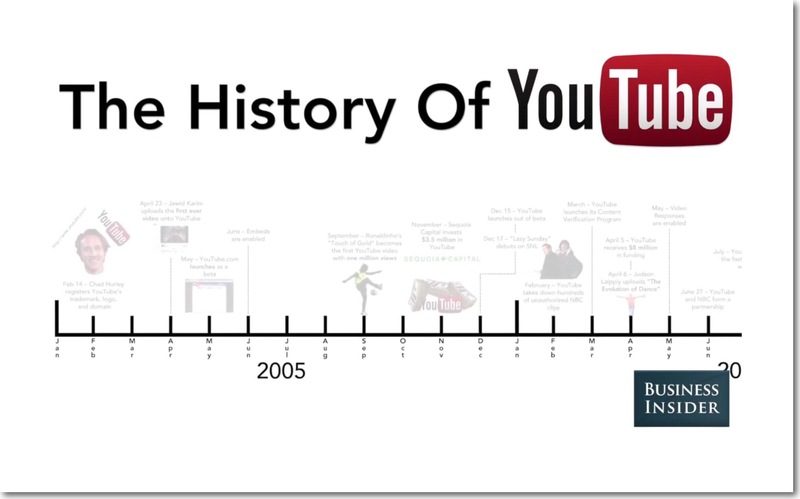 It’s a great 3rd video to watch if you have time because it places YouTube’s history on a historical timeline while discussing all of its major milestones. Feb 14, 2005 Hurley registers YouTube’s domain, trademark and logo. Oct 2006 Less than a year later Google purchased YouTube in its first billion dollar acquisition. The phrase ‘viral videos’ came into existence as a direct result of YouTube. So much so in fact that there are are literally hundreds of ‘best of’ compilations of viral YouTube videos. 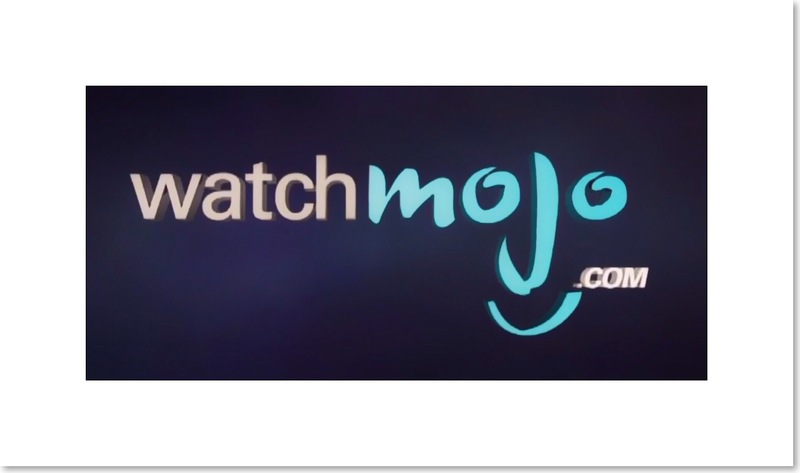 I think Watch Mojo’s is one the best. While RickRolling may have fallen from popularity in recent years, the term came back with a vengeance in July when Melania Trump gave a speech which garnered headlines claiming she was ‘RickRolling’ Trump. What Does the Melania Trump ‘RickRoll’ Mean? 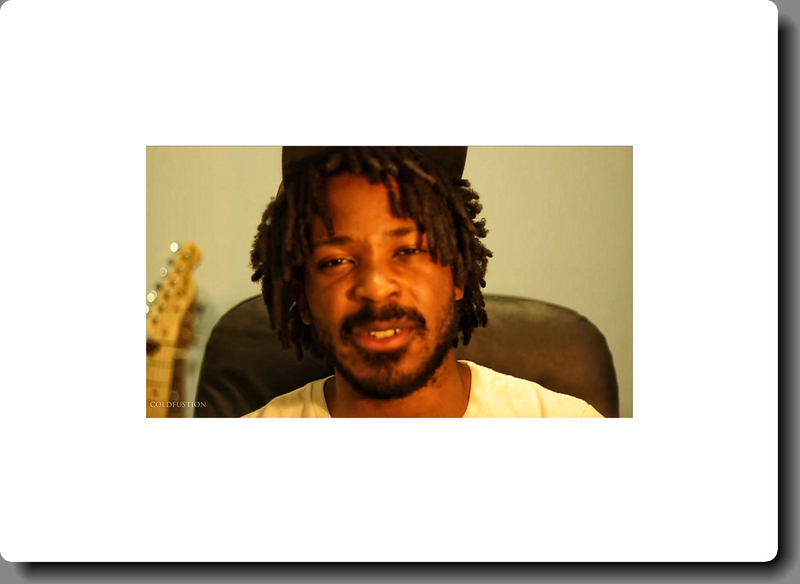 Or, for a shorter version, watch the Swog Blog’s YouTube video. This entry was posted in Google, Tech Tips, YouTube, YouTube Channel and tagged Google, Google and Youtube, Google's Acquistion YouTube, YouTube History. Bookmark the permalink.